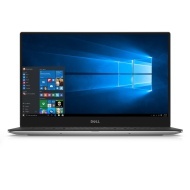 alaTest has collected and analyzed 63 reviews of Dell XPS 13 (2015, non-touch). The average rating for this product is 4.0/5, compared to an average rating of 4.1/5 for other products in the same category for all reviews. Reviewers really like the performance and portability. The battery and screen are also appreciated. Some have doubts about the connectivity and image quality. We analyzed user and expert ratings, product age and more factors. Compared to other products in the same category the Dell XPS 13 (2015, non-touch) is awarded an overall alaScore™ of 89/100 = Very good quality. Packing a high-resolution screen and serious processing power, there's more to the Dell XPS 13 than being a surprisingly small Ultrabook. Dell's revamped XPS 13 has a nearly borderless display, a very small body for a 13-inch laptop and the latest Intel CPUs. Battery life in this lower-end configuration gets a big boost. Dropping the higher-resolution screen and edge-to-edge glass overlay means the look is not as slick, and losing touch makes Windows 8 harder to use. Taking a second look at the new XPS 13, this lower-end version costs less and has better battery life, but isn't as tightly designed. Dell's revamped XPS 13 has a nearly borderless display and a very small body for a 13-inch laptop, plus the latest Intel CPUs. Upgrades can get expensive; a touchscreen isn't included by default; the boost from the new CPU is minimal. Dell's razor-thin, light, and powerful XPS 13 Touch packs a fast processor, but the 3,200-by-1,800 (QHD+) touch screen is the star of the show in this premium ultrabook. Fifth-generation Intel Core i5 processor. QHD+ (3K) display. Minimal bezel around screen. Less than three pounds. Premium materials and construction. Shorter battery life than rivals. Limited port selection. One-year warranty.